After a long and hot summer, the weather in Karwi started to cool down in November. It has been a lot more comfortable and the students are enjoying everyday life. Some of the teachers are doing a “refresher course” held by the Government of Uttar Pradesh. 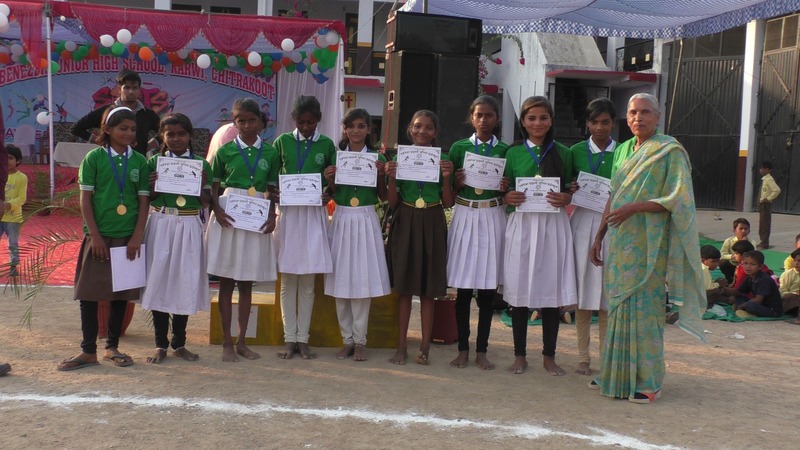 The program helps them to improve their teacher-skills. Part of the course is to get familiar with how to handle student behavior, how to see the students who are falling behind and give them the help they need. Ebenezer School is running as normal while these teachers are away, and the rest of the staff is teaching all the classes. The teachers have been working on completing the educational syllabus for every class, because they are getting close to the first examinations of this school year. Question papers is another thing the teachers must make for the students, before their exams. It will help them to see the important highlights in the different subjects and give them an understanding of what they can expect for their exams. Ebenezer has had more focus on physical wellbeing and education at the end of the year. 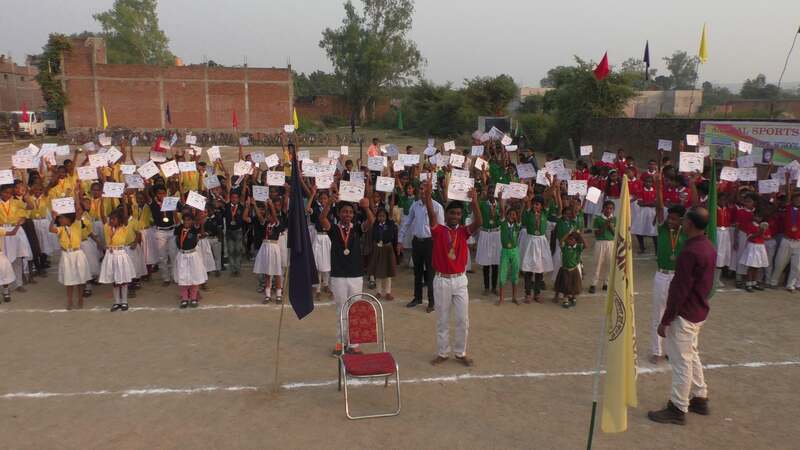 We have had an event that the children were very excited about; the Annual Sports meet 2018. The staff wanted to give the students more options for activities this year, so they divided the 500 students into four “houses”; blue, yellow, green and red. Kids from kindergarten to 8thgrade were all mixed in these groups, and they were all given a t-shirt with the color of the “house” they belonged to. In addition to that, all the boys were given white pants and all the girls were given white skirts. 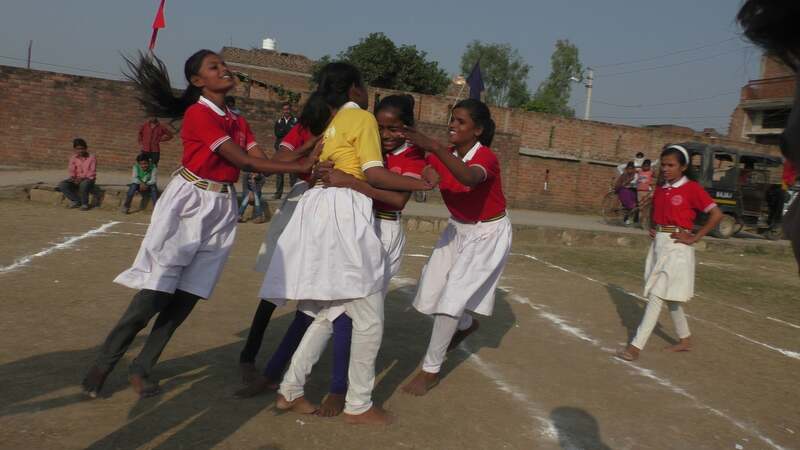 The date for the Sports Event was November 14th, also called “Children´s day” in India. For the event, one of the co-founders for Ebenezer School was invited to come. All the students were very excited about having a visitor come and they welcomed her with a bouquet of flowers and a “welcome dance”. After, a candle was lit to symbolize “knowledge” over Ebenezer School in the time to come and spread quality education to poor children in and around Karwi. Air balloons in different colors were let loose, representing the different backgrounds, castes, and religions the students represent. The band played and the students marched around before they all ate lunch. Competitions between the “houses” then started and did many of the activities mentioned above. The last competition was “tug of war”. The “green team” ended up winning, and for fun they fought the staff after. Ebenezer school is so thankful for all the funding to put the event together, to put physical education on the agenda, and for everything else that has been possible the past year because of all the support. These children belong to two brothers who live together with their parents. The name of the father of Anjani and Vinay, is Mr. Gulab Verma, and the father of Anand and Mukesh, is Mr. Ramroop. The two brothers work in a cement factory in Faridabad near New Delhi. In everyday life, the children’s grandparents take care of them because Mr. Gulab Verma and Mr. Ramroop work so far away from home. They travel home whenever they get off from work. Taking care of their family and also meeting other expenses, hardly gave them any option to think about education for their children. Everything changed when staff from Ebenezer came to their home. They were informed about the sponsorship program from Glocal Aid, and how their children could benefit from this. 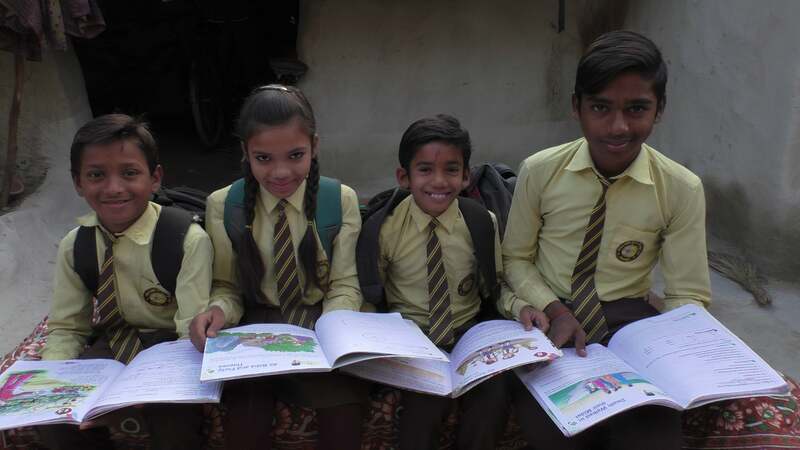 The four students have now been a part of Ebenezer school for 8 months, and the family sees great improvement in the educational level for all of them. A month ago, the two fathers visited the school and met the Headmaster. They showed such appreciation for the change they see in their children now. Abhishek and Sneha are siblings and belong to a very poor family. Their father, Mr. Vinay Tiwari, is a farmer. He´s had very little income because of his dependency on his main source of income; agriculture. They live in a small, dark house with very little ventilation, in the village of Vinayakpur. Because of this dry season, there has been very little harvest, causing the family to make very little money. For this family to send their children to a private school did not seem possible. One day teachers from Ebenezer came to their house to tell them about the school. Mr. Vinay Tiwari listened, but did not dare to mention their situation. After hearing about the sponsorship program, he opened up. He now saw a brighter future for his children. He got in contact with the Headmaster and had both his children enrolled into the school. The father is very happy to see how his two children are growing and improving academically and physically. He is also giving some of his harvest to the school to show his gratitude.